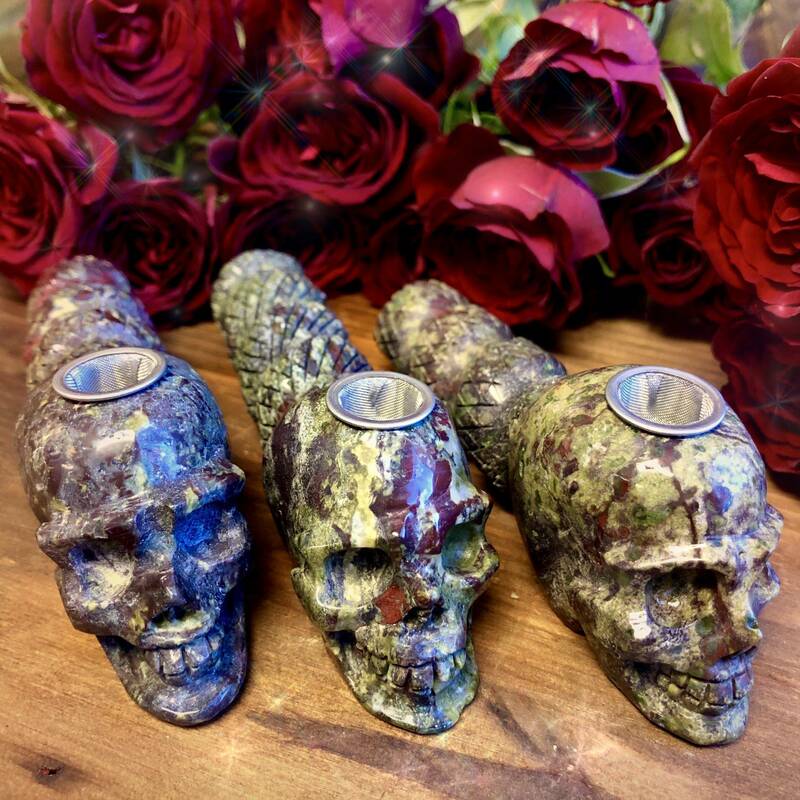 Gather around, my fiery goddesses – your dragonstone skull pipe has arrived! Truly, I can’t even begin to explain the power of this offering. 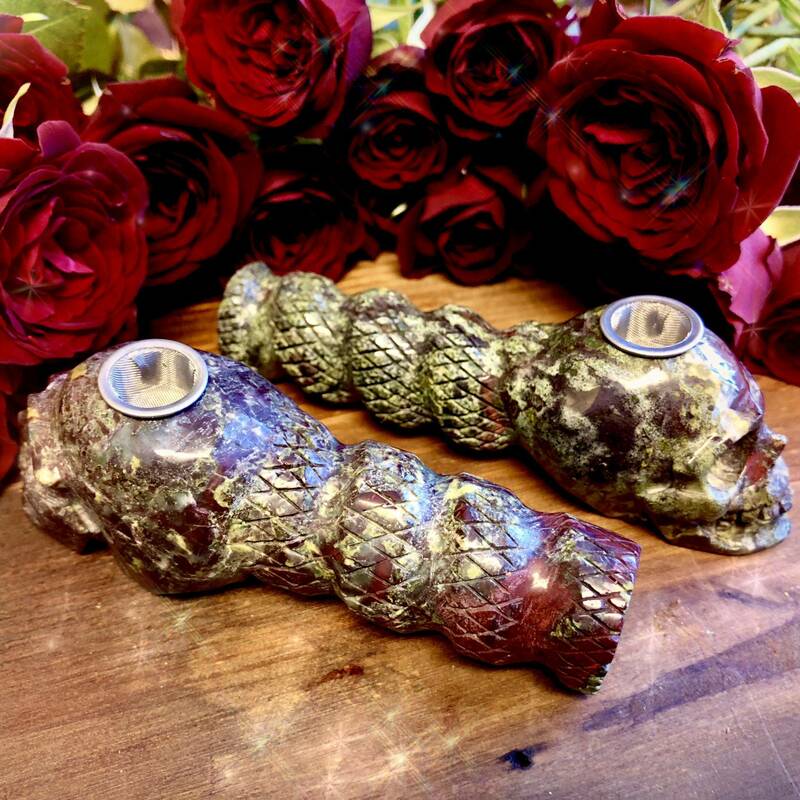 Breathtaking dragonstone lovingly carved into skull pipes, reverberating with ancient power, just waiting for you to harness – does it get any more magical than that? 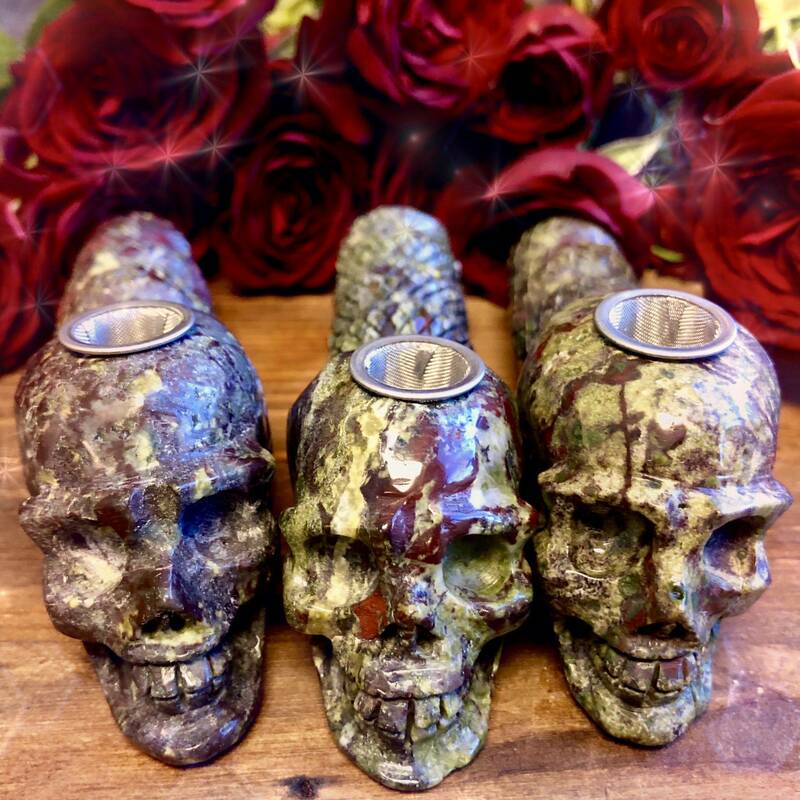 Use these dragonstone skull pipes before, during, or after ritual, or whenever you feel called, to harness the power of this incredible gem combined with the deep magic of skulls, fire, and smoke. Pipes have long been used across various spiritual traditions, particularly Native American ones, as ceremonial tools, and are regarded with immense reverence and respect. When you combine this sacred heritage with the deeply powerful properties of skulls and dragonstone, you get a truly remarkable treasure. Anyone who knows me knows that I love incorporating skulls into ritual, because of the massive power they hold. Skulls hold our secrets and carry our wisdom. Even after we die, skulls are said to hold and channel what they learned from us in life and are capable of transferring that knowledge to others. They represent the commonness of humanity and the wisdom of the ancients and elders. 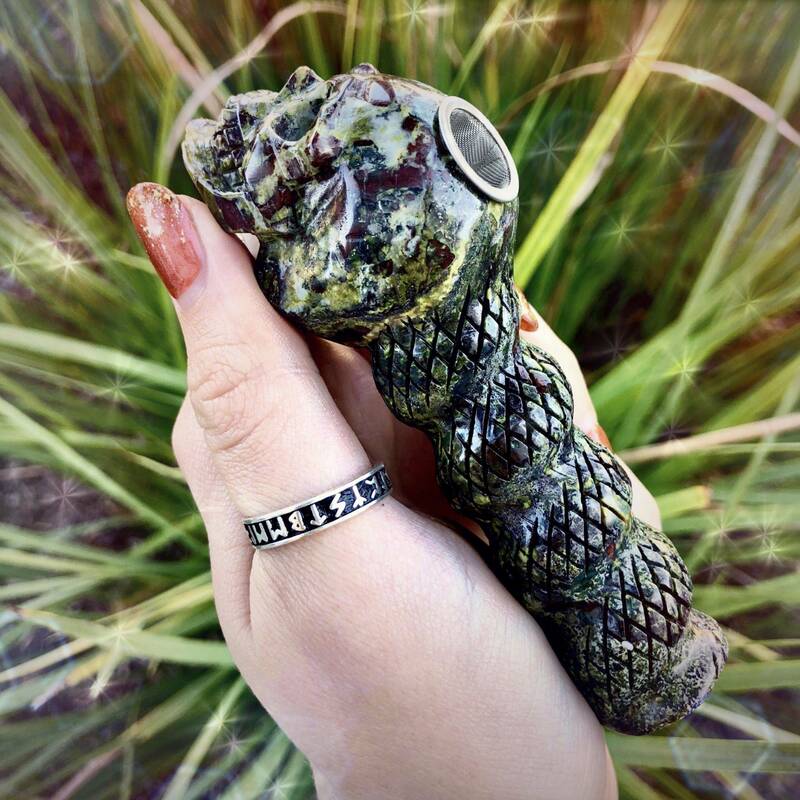 The sacred skull combined with the magic of dragonstone is what makes these pipes SUCH an incomparable offering. If you’re looking for serious, Divine protection, dragonstone is it! This gem holds millions of years of Earth wisdom and enshrouds you in a powerful bubble of shielding energy that will follow you anywhere you go. This stone evokes a fierceness and loyalty to your intentions, produces strength, and assists in creating anew – simply put, it unleashes your inner dragon! This listing is for one (1) dragonstone skull pipe (about 4”). Yours will arrive lovingly parceled along with a single leaf of white sage and a card describing the properties of the stone.